The Annsworth philosophy focuses on providing high quality early education and childhood programs. The age-appropriate program includes concepts relating to social-emotional learning and communication skills, literacy, math, science and nature, creative movement, art and music. Ms. Dawson incorporated the researched-based principals of The Creative Curriculum and Beyond Centers and Circle Time, into a thematic curriculum content for Annsworth. Scholastic Opportunities, Inc. is a Florida corporation founded in 1981 as the parent organization for child development centers doing business as “Annsworth Academy”. One center is currently being operated in Tallahassee: Annsworth Academy Northampton, in the Northampton community, is licensed for over 200 children. Anne Dawson, President of Scholastic Opportunities, Inc.
Anne Dawson, President of Scholastic Opportunities, Inc. received her Bachelors Degree in Education from Ohio State University, has over 40 years experience in the field of Early Childhood Education, and completed her Florida Director Credential in 2002. Ms. Dawson began her teaching career in the public school system in Ohio and for the next 10 years taught as a kindergarten teacher there and in Florida. She recognized the need for quality child care in the private sector to accommodate the growing number of working parents. In 1968, she founded Highland Park School in Pinellas County, Florida. The school was initially designed to accommodate approximately 80 pre-school and kindergarten-age children. The program and approach used by Ms. Dawson proved to be so successful that at the urging of the clientele she served the school was expanded to include a full complement of elementary and middle school classes with an enrollment of 350 children. Because of her lifelong interest in working with younger children, she elected to sell her school in 1985 and focus her attention once again on creating quality pre-school programs. Our first Annsworth Academy was built in Clearwater in 1985 and a second one in Brandon in 1987, the Killearn facility was bought in 1985 and the Northampton school was built in 1992. Chris Bertoch, Director at Annsworth Academy Northampton, has her Bachelors Degree in Child Development from Florida State University, over 35 years of experience, and completed her Florida Director Credential in 2002. After several years as teacher and assistant director at Highland Park School and an officer of Scholastic Opportunities, she moved to Tallahassee in 1984. She soon recognized the need for quality childcare in the Tallahassee area and a chance for Scholastic Opportunities to expand. 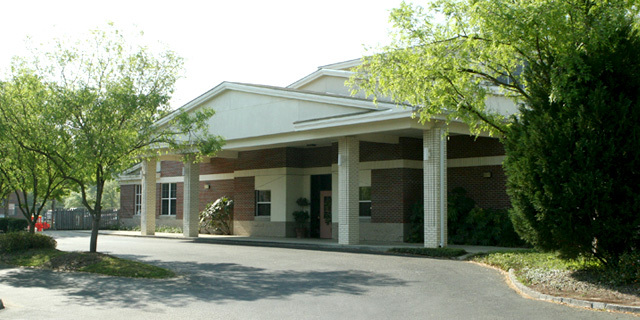 The Annsworth in Killearn opened in May of 1985 with an enrollment of 50 children. Because of the huge demand for our services, an addition was completed the following year to accommodate two additional classrooms. Since this still did not meet the demand in the community for quality childcare, Scholastic Opportunities under Ms. Bertoch’s guidance built Annsworth Northampton. Upon completion of the new facility in 1992, Ms. Bertoch transferred to become the Director at that location. Tamsin Kilmer has been the Assistant Director at the Northampton location since 1996. Mrs. Kilmer has her Bachelors Degree in Child Development and her Master’s in Early Childhood Education from Florida State University, has over 20 years experience both as a classroom teacher and an administrator, and completed her Florida Director Credential in 2002. Annsworth Academy Northampton, opened in the fall of 1992, continues the philosophy, standards, and curriculum established by the company. Licensed for over 200 children, it serves the surrounding areas in northeast Tallahassee. This Preschool has received overwhelming support from the community for its outstanding building design, it’s location in northeast Tallahassee, and the reputation earned over the years in their work with children.